DANGER SPOT: A tanker parks adjacent to the Warrego Hwy at College View in the Lockyer Valley. Heavy vehicles pull up here to rest at the McDonald’s and BP across the highway. There are no deceleration or acceleration lanes, making it a dangerous spot for truck drivers to rest. THERE has been recent public attention given to police operations targeting southern trucking companies on a range of compliance issues including speeding and fatigue management. The latter, driver fatigue, is an issue that governments can better address by providing adequate rest areas on major transport routes. It's an issue that I personally believe needs to be given more priority and more forward thinking when governments plan industrial hubs around highways. In fact in my region, the Lockyer Valley, the Warrego Hwy has very few designated rest areas. The rest area at Helidon was extensively damaged during last January's floods and is yet to be restored. The area east of Toowoomba has very few suitable rest areas where heavy vehicles can pull over in either direction. The College View BP and McDonald's is a prime example of the need for more rest areas, as almost every day truck drivers are pulling their rigs over next to the highway, creating a dangerous situation for all road users. 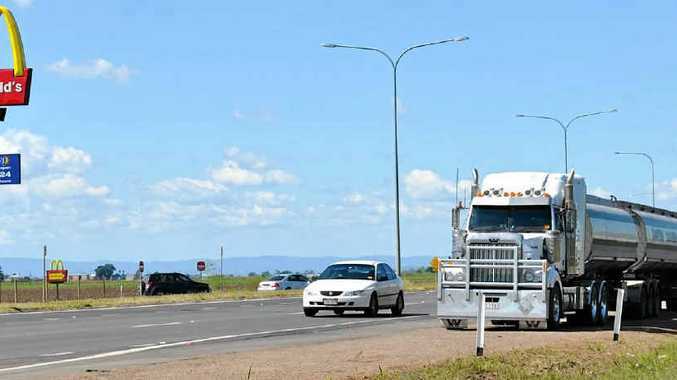 The Queensland Department of Transport and Main Roads had previously allocated $58.3 million for a heavy vehicle rest area program, which would deliver at least 56 rest areas and 25 new stopping places throughout Queensland by 2013-14. Collaboration between the Federal Government and the department had resulted in $30 million being allocated by the Federal Government under the nation building program to fund important new and upgraded heavy-vehicle rest areas and stopping places on the Bruce and Warrego highways. This is a small step towards helping the problem but none of these upgraded or new areas will happen east of Toowoomba. I will be discussing with the new Queensland Government the need for more rest areas and will be personally lobbying for a full-scale heavy-vehicle rest area along the Gatton bypass with improved amenities. Providing these sorts of areas is money well spent and could help save lives on our roads.